Doing what you can when you can is how many of us busy people volunteer our time to help out. Unfortunately this is often difficult in swimming because most of the expertise is in peoples’ heads. New volunteers can find it difficult to get involved because they often don’t know where to start. People are regularly re-inventing things, and much runs using labour intensive processes and outdated systems. Together we are changing that! Are you enthusiastic and busy? This is a resource for enthusiastic and busy volunteers who want maximum fun and results from minimum effort! We dream of the swimming sport being easy to get involved and help run, using modern systems. This website is to allow like minded people to share best practices and act as a collaboration and innovation hub. We want to share what works, what doesn’t, and how to do it better. Together we can make a big difference. Ok so how do I take advantage? If you like what we are doing then do please spread the word! This website was launched in February 2015 by Ben Ramsden. Ben is a swimming parent who has been involved with club administration since 2009 in Sydney, Australia. His experience includes being treasurer and webmaster for Abbotsleigh Swim Club and treasurer and a technical official for the Swimming Metro North East Area within Swimming NSW. 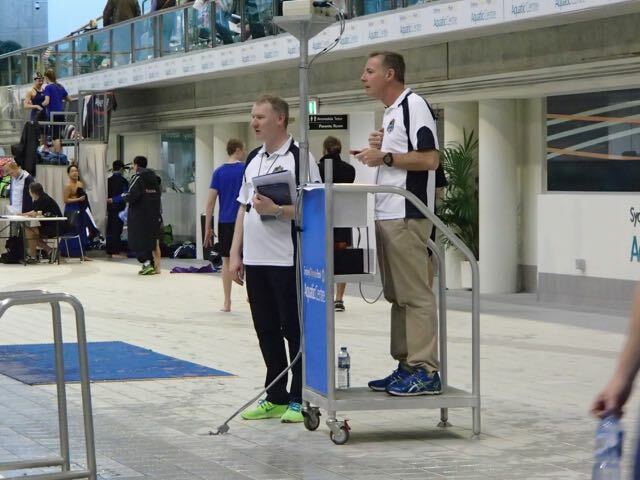 He co-founded the Swimming NSW Technical Officials online training system.